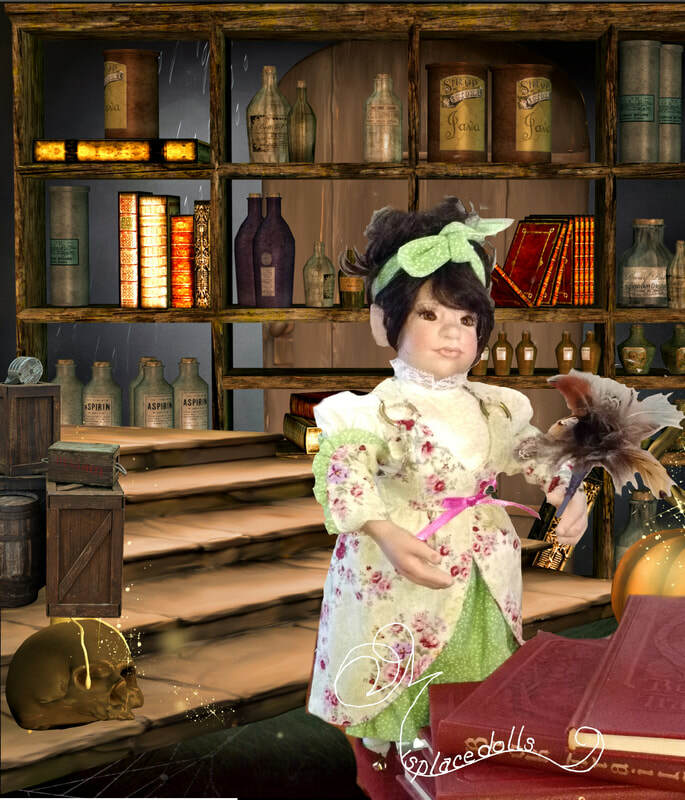 Granny Flare lets you know that Ember, the Brownie Apprentice, is dusting in the library now. Thinking Ember, might know something about the strange things going on in the village, Furn and you go visit with her. Ember is busy dusting the books when Furn asks Ember if she has seen anything strange in the village. Ember glances up but then returns to her dusting. After another minute of dusting she starts to tell you that she doesn't know anything about anything strange in town because Granny has been keeping her pretty busy with all the dusting and cleaning. "Have you gone to the Secret Garden yet to see if Gardner knows anything? Also I hear that Passporte' is back in the village, he might know something." Furn tells you that it is no secret that Ember has a crush on Gardner. "She volunteers to do any errand to see Gardner", Furn whispers in your ear. "Let's get out of here before she volunteers".